Until now, Ashley’s identity has been unknown. One of the most enigmatic objects on display in South Carolina’s Middleton Place, this unbleached cotton sack features an embroidered text recounting the slave sale of a nine-year-old girl named Ashley and the gift of the sack by her mother. Until now, Ashley’s identity has been unknown. New research by Mark Auslander traces Ashley’s Sack from the initial gift during the era of slavery to the present. Detail of Ashley’s Sack, Charleston, South Carolina, 2016. Photograph courtesy of the Middleton Place Foundation. With no accounts of its history, Ashley’s Sack surfaced at a flea market in Springfield, Tennessee in 2007. From 2009–2013 it was displayed at Middleton Place in South Carolina, where it had enormous emotional impact on thousands of visitors. Now on loan to the Smithsonian, it’s likely to be viewed and pondered by millions in the coming years. Ashley’s Sack: A provisional timeline. Timeline information courtesy of the author. Infographic by Eric Solomon, November 16, 2016. In this essay, I attempt to reconstruct the history of Ashley’s Sack, from the time of slavery onwards, and explore its shifting meanings in different display venues. My reconstruction of the sack’s history prior to 2007, while grounded in careful archival research, is necessarily conjectural at points, given the paucity of primary documentary evidence on the enslaved and free family lines in question. Although some of the “detective story” that follows is speculative, I suggest the project of tracing the sack is important for several reasons. It demonstrates that the narrative embroidered by “Ruth Middleton” is very likely to be accurate, or at least highly plausible. This undertaking helps us understand how, in the face of the terrible fragmentation of family solidarity caused by the domestic slave trade, family lineal memory and continuity endured across at least four generations. Finally, the 150-year history of the sack demonstrates how, in the face of structural forces that systematically alienated property from enslaved and liberated people of color, a single material object was inherited, preserved, and creatively transformed across time and space. 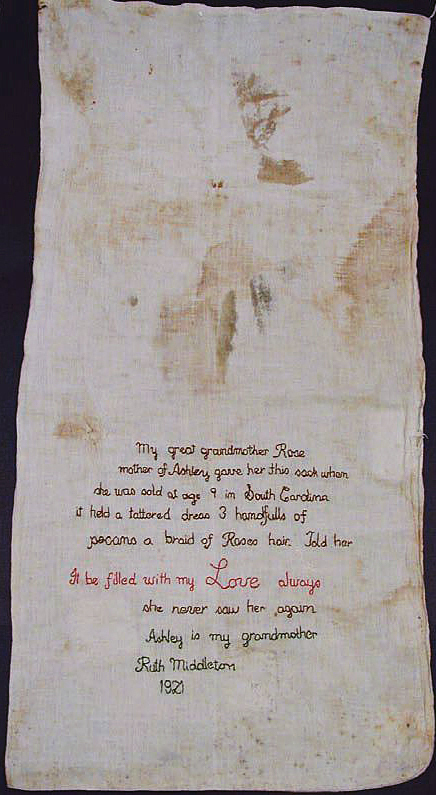 If the embroidered text is correct, Ashley probably kept the gifted object throughout her life, in slavery and freedom, and presented it to her own child—likely a daughter. Ashley’s child then must have passed the sack onto her (or his) daughter, the woman identified as Ruth Middleton. 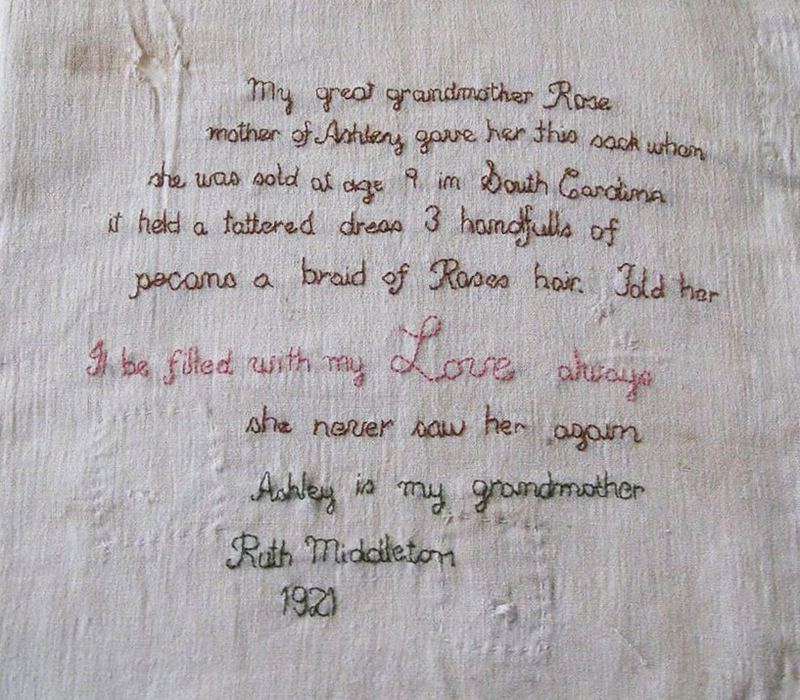 In 1921, Ruth Middleton made the decision to embroider the words passed down orally through the generations. Robert Martin’s inventory showing Rose. Entry from the Charleston Estate Inventory Book, 1850–1853. Courtesy of the South Carolina Department of Archives and History. Toney and Winney are presumably elderly, given their low valuations and the practice in this particular inventory account of listing named slaves in family groupings from eldest to youngest. Perhaps Ashley is Toney and Winney’s grandchild, and they were looking after her in the absence of Ashley’s mother Rose. Robert Martin’s inventory showing Toney, Winney, and Ashley. Entry from the Charleston Estate Inventory Book. Courtesy of the South Carolina Department of Archives and History. Fourteen months after Robert Martin Sr.’s death, a newspaper announcement of a court-decreed sale of the property notes that his Milberry Place Plantation contained over 2,900 acres. This property was located along the Savannah River about a hundred miles west of Charleston, in an area now known as “Milbury,” an unincorporated part of southeastern Allendale County. The tract is about six miles southeast of the present-day town of Allendale. The will of Robert Martin stipulates that his house on Charlotte Street, its furniture, and “house servants” will remain in the custody of his widow, Milberry Serena Martin (1808–1877), the apparent namesake of Milberry Place. As executrix, she was enjoined to dissolve his resources as quickly as possible in order to realize enough cash to provide an inheritance of $20,000 for each of his children. 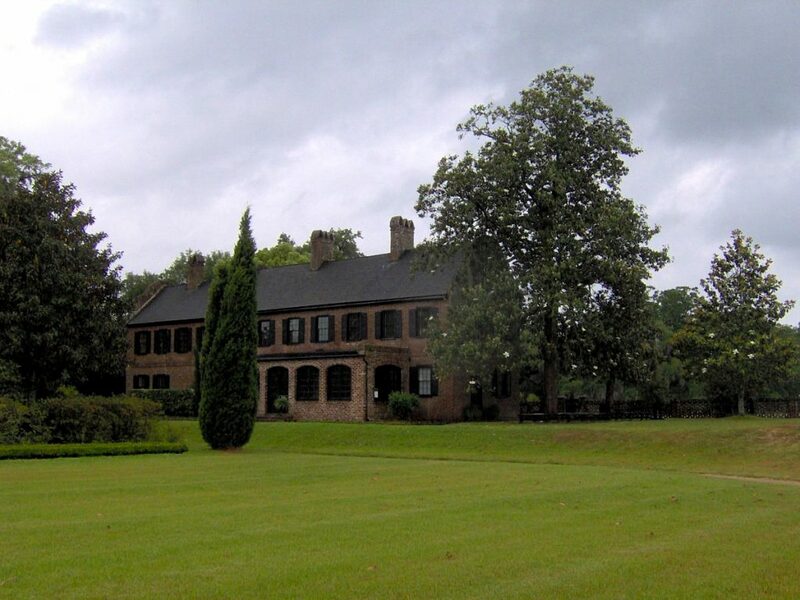 Soon after Robert Martin’s death, the parties to the inheritance entered into a complex series of cases in the South Carolina Court of Equity, leading to court-decreed sales of many components of his voluminous and diverse estate. Mrs. Martin purchased the land of Milberry Plantation in early 1854 and allowed her son Robert Jr. to reside on it. By 1860, 125 slaves were held here. It also appears that, in accordance with court decrees, several enslaved persons were sold to raise cash. Evidently, most of the enslaved people at Milberry remained on the plantation through the Civil War until freedom came in the spring of 1865. Some newly freed people also stayed in the vicinity. For example, the man Scipio listed in the 1853 inventory of Robert Martin’s Barnwell County “Milberry” estate is presumably the Scipio Martin, recorded in the 1870 census, residing in Bamberg township, about forty miles from Milberry. Similarly, it seems likely that Frances and Amanda in the 1853 inventory became Frances Martin (born 1843) and Amanda Martin (born 1845), both residing in nearby Barnwell town in the 1870 census. 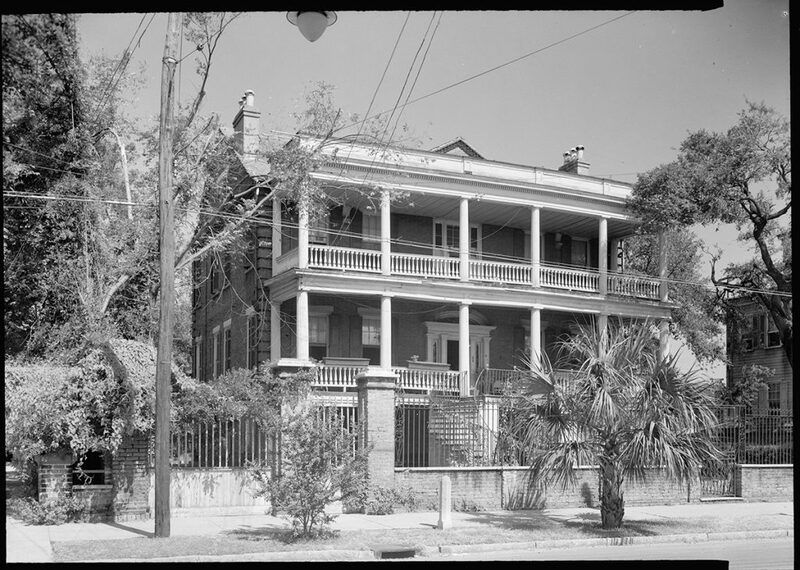 Robert Martin House, 16 Charlotte Street, Charleston, South Carolina, September 1940. Photograph by C.O. Greene. Courtesy of Wikimedia Commons. Image is in public domain. These circumstances are consistent with the scenario outlined in Ruth Middleton’s embroidery. Under the will of Robert Martin Sr., Rose and the other house slaves were kept in the Charleston household at 16 Charlotte Street to look after Mrs. Martin and her minor children. Enslaved people at Milberry Place in southwestern Barnwell County could be sold off at Mrs. Martin’s discretion. At this point, we encounter a significant gap in the chain of evidence. There is no specific record of an “Ashley” after the 1853 inventory. It is not clear when the sale of Ashley took place, or how Rose and Ashley might have had the described reunion before their separation. There is no listing in Charleston newspapers of a slave sale connected to Robert Martin’s estate, although there are a number of notices for equity court-decreed sales of land and real estate associated with Martin’s holdings. If the sale took place in 1853, the year after Robert Martin Sr.’s death, and Ashley was, as the needlework states, nine years old, we can assume she was born around 1844. We do not know if Rose stayed on in Charleston, or survived until emancipation. 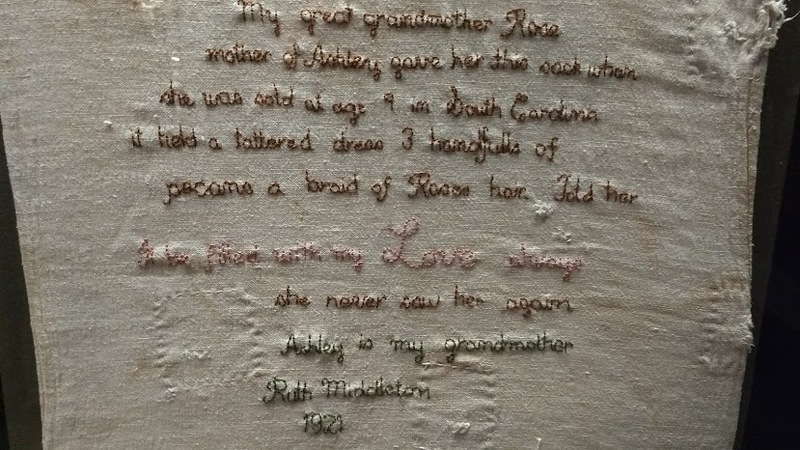 The embroidered text records that Rose and Ashley never saw one another again, which suggests that Rose may have died prior to 1865, or was sold out of the area after 1853. In sum, we do have a record of a Rose and Ashley owned by the same wealthy South Carolina planter and merchant, Robert Martin, at the time of his death in late 1852, held at properties over one hundred miles apart from one another. We have legal records indicating that Robert Martin’s widow was enjoined by her late husband’s will to retain Rose at the Charleston mansion, but that she was free to sell Ashley and other slaves from the Savannah River “Milberry” plantation, in southeastern Barnwell County, and that she, as executrix, was under urgent pressure to raise cash for the lawful heirs of her late husband. We do not have direct evidence, however, that Ashley was sold and separated from her mother in the manner described in the 1921 embroidery. All we can say is that the 1921 embroidered account—of a nine-year-old Ashley being sold away from her mother Rose—is consistent with the extant documentary record of Robert Martin’s estate. Ashley’s Sack, Charleston, South Carolina, 2016. Photograph courtesy of the Middleton Place Foundation. 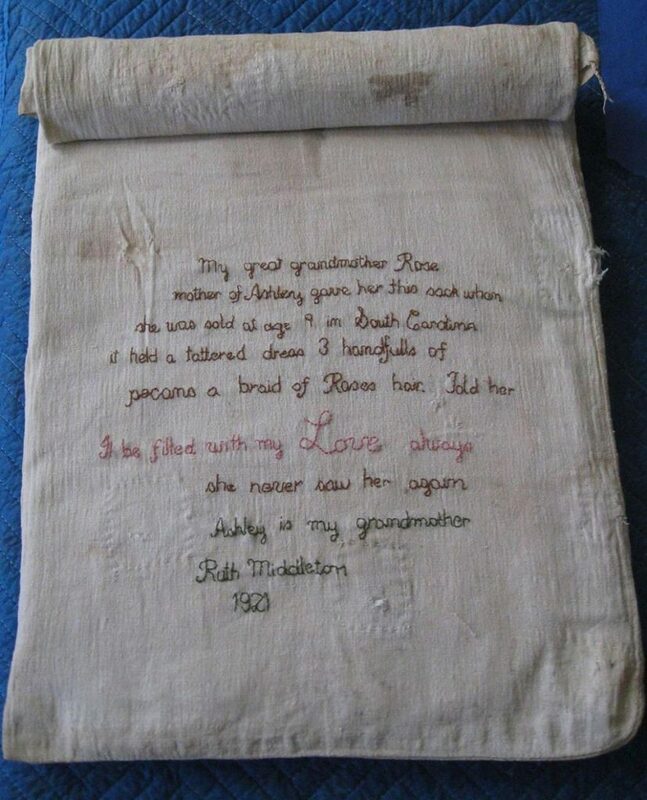 Who was Ruth Middleton, the woman who appears to have embroidered Ashley’s Sack in 1921? We can proceed both by process of elimination, ruling out less likely “candidates,” and by positive evidence for one particular woman who bore the name Ruth Middleton. There are sixteen African American women across the nation in the 1920 US census named “Ruth Middleton.” Two additional Ruth Middletons, who do not appear in the census, are documented in marriage and other records. Of these eighteen women, we can subtract those born after 1915 (presumably too young to embroider in 1921). We can probably also remove from consideration those women who, according to the census, could neither read nor write. Further, that the embroiderer specified that the events took place in “South Carolina” perhaps suggests that she was not residing there when doing the needlework. Of the six remaining candidates, one, by far, appears most likely. Only she had clear family roots in South Carolina, resided outside of the state, was literate, and resided in a context in which she plausibly could have created the needlework in question. Marriage License Application of Arthur Middleton and Ruth Jones, County of Philadelphia, Commonwealth of Pennsylvania, June 25, 1918. Public record provided by the author. This woman is not among the Ruth Middletons in the 1920 US census—for reasons that may be telling. In 1918, a young African American, born Ruth Jones in Columbia, South Carolina around 1903, married Arthur Middleton, born around 1899, also from South Carolina, in Philadelphia, Pennsylvania, where she evidently resided for the rest of her life. Arthur was born in Camden, Kershaw County, South Carolina, about twenty miles from Columbia, and was the child of Pink (Thompson) and Flander Middleton. In their marriage license application, Ruth claims to be born in 1897—that is to say, to have reached twenty-one, the legal age of consent. All other sources, however, indicate that she was fifteen or sixteen at the time of her marriage. Ruth’s parents, Austin and Rosa Jones, appear to have married around 1902 in Columbia, one year before her birth. Austin worked for a time as wagon driver; in 1910 he and Rosa both worked as servants at the University of South Carolina (in Columbia), and appear to have lived next door to the well-known white South Carolina historian Alexander Salley. Austin died in 1912 and Rosa in 1916, leaving Ruth an orphan. It is possible that Ruth came up to Philadelphia with Arthur Middleton, or that they met there. In her marriage application, Ruth lists her occupation as “housework” and her address as 501 Woodside Terrace. This was the elegant Italianate home of chemical engineer and factory owner Edward Linch and his wife Mabel, an organist who performed in the most prominent circles of Philadelphia white society. Arthur Middleton army separation application #272507, November 22, 1919. Public record provided by the author. Employed as a domestic worker in this household, Ruth must have observed the ins and outs of Philadelphia society, and perhaps took up needlework during this time. It is not clear how long Ruth remained in the Linch family’s employ. She gave birth to a baby girl, Dorothy Helen Middleton, in January 1919, six months after her marriage to Arthur. There is no record that Ruth and Arthur ever lived together. Soon after their wedding, Arthur was inducted into the US Army and served overseas in World War I until mid-1919. In the 1920 census he is living apart from his wife as a lodger in Philadelphia. He later resided in Brooklyn, New York, near his elder sister Helen and his mother, who eventually moved to Brooklyn from South Carolina. Ruth appears to have kept up connections with Arthur’s family: a 1928 notice in the Philadelphia Tribune reports that Ruth entertained Arthur’s elder sister Helen Middleton Hadley of New York for Thanksgiving. It would therefore appear that in 1921, the year that Ashley’s Sack was embroidered, Ruth Jones Middleton was an eighteen- or nineteen-year-old single mother living in Philadelphia. Ruth Jones Middleton’s later life remains somewhat of an enigma. I have found no traces of her from 1919 through 1924. In 1925, she resides in a lodging house in South Philadelphia. In the 1930 census she is listed as a live-in “waitress” in the elegant home of well-to-do white photographer, Samuel J. Caster, adjacent to Bryn Mawr College in Lower Merion, a main line suburb of Philadelphia. Eleven-year-old Dorothy Helen is not listed as living with her. 1940 Census Record showing Dorothy and Ruth Middleton, lodgers in Philadelphia, PA. Public record provided by the author. From around 1928 onwards, Ruth appears to have reinvented herself. She is mentioned regularly in the “Smart Set” and “High Society” pages of the Philadelphia Tribune, the leading African American newspaper of the region, hosting bridge and cocktail parties and wearing elegant couture. Ruth’s daughter Dorothy Helen Middleton appears several times as a member of fashionable dance clubs and, in the late 1930s around age twenty, authored the Philadelphia Tribune‘s “Smart Set” society column at least twice. In February 1940, the Tribune reported, “attractive South Philadelphia matron, Mrs. Ruth Middleton will be confirmed next month at St Simons Church.” The Episcopal Chapel of Saint Simon the Cyrenian, at 1401 22nd Street, was a socially prominent African American church. Ruth’s confirmation marked her transition to the more “respectable” ranks of black Philadelphia society. 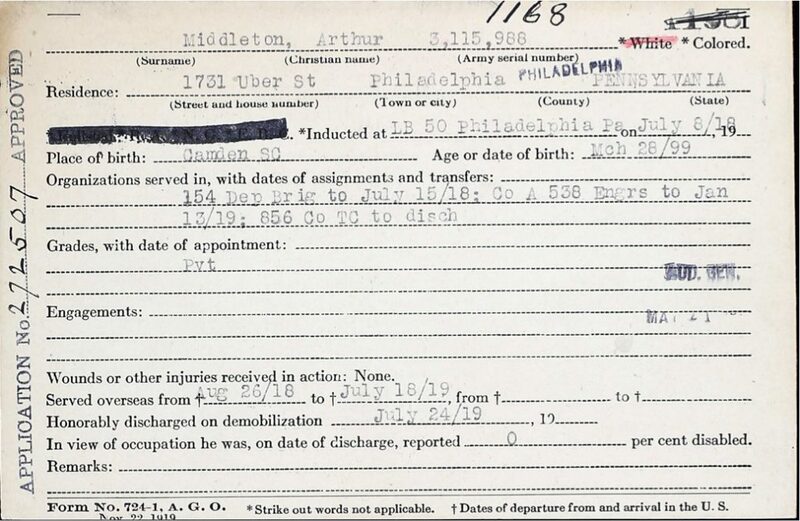 Also in 1940, Ruth is listed as a lodger in downtown Philadelphia with her daughter, Dorothy Helen Middleton. The census reports that Ruth is Dorothy’s “sister”; it seems plausible that Ruth intentionally misstated their relationship to obscure the fact that she had given birth at the age of fifteen or sixteen. 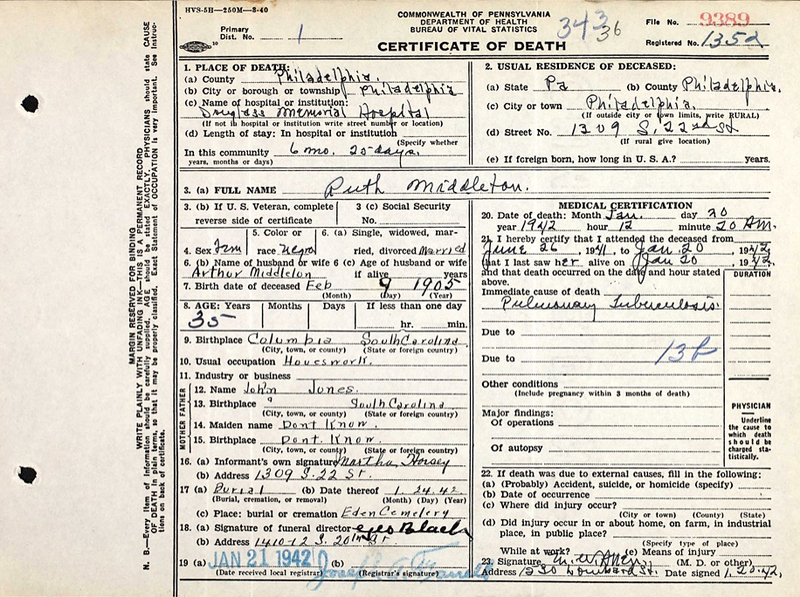 Ruth Middleton, Certificate of Death, No. 9389, January 20, 1942, County of Philadelphia, Commonwealth of Pennsylvania. Public record provided by the author. The 1940 church confirmation notices are the last mention in the press of Ruth Jones Middleton, who may, by this point, already have developed the illness that would take her life. She died in January 1942 of tuberculosis, after six months in Philadelphia’s Douglass Memorial Hospital. Her daughter Dorothy Helen could only afford thirty dollars for an unmarked grave in Mount Lawn cemetery in Sharon Hills, outside the city. Perhaps Ruth had a wealthy patron during her life to support her society lifestyle; if so, no resources for her funeral expenses were available after her death. Ruth’s daughter Dorothy lived until 1988, taking the name Dorothy Page at some point, perhaps because of marriage. At the time of her death, she resided in the north Philadelphia suburb of Wyncote. It’s not clear whether Dorothy Helen Middleton Page (who evidently died in a nursing home) retained Ashley’s Sack during her life, or how it made its way to the flea market for the 2007 sale. What of the parentage and ancestry of Ruth Jones Middleton? Can we link her to Rose, to Ashley, or to Robert Martin’s Milberry Place plantation of Barnwell County, South Carolina? 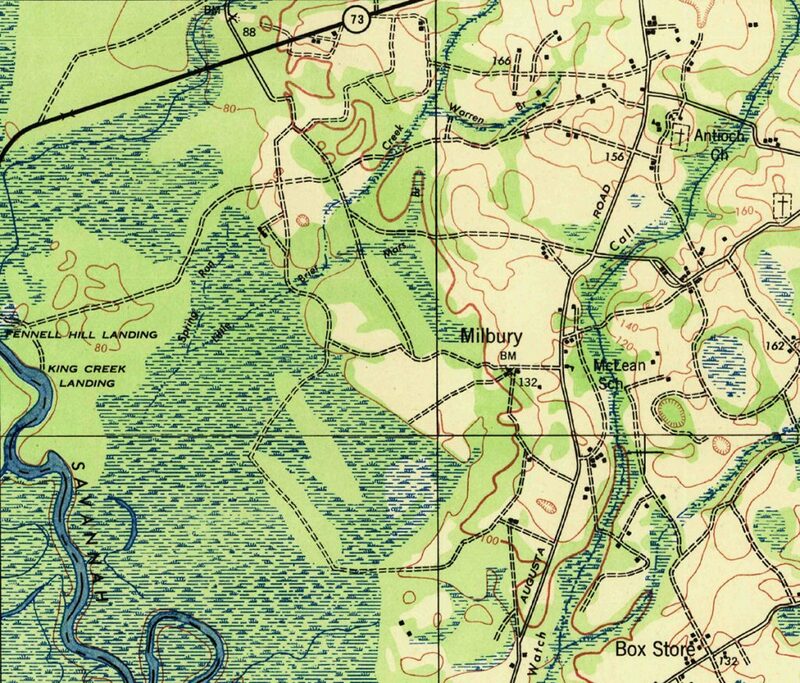 Detail from U.S. Geological Survey. Peeples quadrangle, South Carolina-Georgia [map]. First Edition 1943. 1:62,500. Reston, Va: United States Department of the Interior, USGS, 2016. 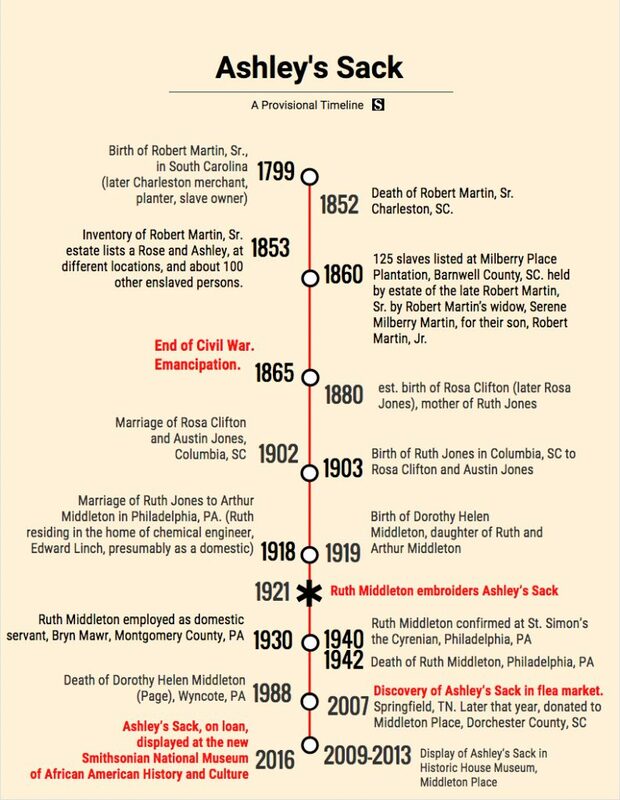 As of this writing, there is no direct documentary proof that Ruth Jones Middleton’s family came from Milberry Place Plantation, where the “Ashley” owned by Robert Martin resided in the early 1850s. However, there is strong circumstantial evidence linking Ruth’s mother and maternal grandparents to this specific region of South Carolina. In her 1918 marriage license application, Ruth lists her mother’s maiden name as “Rosa Clifton.” The 1870 census, the first census to record the names of all recently emancipated African Americans, records about sixty African Americans named Clifton in the state of South Carolina. The only white slave owning Cliftons in antebellum South Carolina were concentrated in Chester County; many black Cliftons lived in Chester County and its environs in the 1870s. The census records a single black Clifton family in Columbia, South Carolina, and a cluster of black Clifton families between Columbia and the Savannah River—in the Barnwell County townships of Barnwell, Blackville, Bamberg and Diamond Hill, and in the adjacent Orangeburg communities of Amelia and Goodlands. Nearly all of these Clifton families reside within a fifty-mile radius of Robert Martin’s Milberry Place Plantation, where Ashley was clearly enslaved in 1852. Numerous African Americans with the surname “Martin,” whose first names correspond with those listed in the 1853 Robert Martin estate inventory at Milberry, are scattered through this same geography. It’s likely that Rosa Clifton Jones and her daughter Ruth Jones Middleton had roots in this extended family network. Barnwell District, South Carolina, ca. 1825. Map by Robert Mills and Anderson Thomas (surveyor). Courtesy of the Library of Congress Geography and Map Division, loc.gov/resource/g3913b.cws00130. How do we know this? The mother of Ruth Jones Middleton, “Rosa Clifton,” born around 1880, is listed in the 1900 census as living in Columbia, employed as a chambermaid. She is listed as the “sister in law” of a Wesley Perry, married to a Hattie Perry (born around 1873) who is presumably Rosa’s sister (with the maiden name of Clifton). The 1880 census records a “Hattie Clifton” (born around 1874) in the Goodlands township of Orangeburg County, adjacent to Springfield, about forty miles south of Columbia. Her parents are listed as William Clifton (born around 1841) and Sarah Clifton (born around 1849). To be sure, it would be ideal if we had clear evidence that this woman “Sarah” bore the earlier name of “Ashley,” or that Rosa Clifton’s grandmother bore the name Rose. In the lack of such evidence, all we can currently conjecture is that Rosa Clifton’s parents probably resided in the same geographical region within which many former slaves from Milberry lived. In short, although the lines of descent are unclear, it is highly plausible that Rosa Clifton Jones, the mother of Ruth Jones Middleton, had family roots among the once-enslaved people of the Robert Martin plantation, who, after emancipation, spread out into Barnwell, Orangeburg, and Richland Counties. Future research may provide more definitive evidence that Rosa Clifton Jones was in fact mothered by the “Ashley” listed in the Robert Martin estate. Top, Distant view of Middleton Place, Charleston, South Carolina, 2007. Photograph by Brian Stansberry. Courtesy of Wikimedia Commons. Creative Commons Attribution 3.0 Unported license. Bottom, Middleton Place, Charleston, South Carolina, 2007. Photograph by Brian Stansberry. Courtesy of Wikimedia Commons. Creative Commons Attribution 3.0 Unported license. To return to recent history, in February 2007 a white woman (who wishes to remain anonymous) discovered and purchased Ashley’s Sack for twenty dollars from a white man at an open-air flea market in Springfield, Tennessee. She first explored selling it through eBay and a New York auction house, but after dreaming of the little girl Ashley and developing a close connection over the telephone with a Middleton Place senior staff member, she decided to transfer it to the Middleton Place historic house museum near Charleston. When Middleton Place Foundation acquired Ashley’s Sack, it had already taken steps towards incorporating the slavery narrative into its interpretive mission. Indeed, one of the reasons the donor was so willing to present it to the Middleton Place was its demonstrated commitment to engage with mass enslavement and its legacy: Around 2005, Middleton installed a permanent exhibition on slavery in one of its outbuildings, known as Eliza’s House, listing the names of about 2,600 enslaved people associated with the plantation. Since Eliza’s House lacked environmental control and security, Ashley’s Sack wasn’t installed there. Instead, Ashley’s Sack was displayed within the historic house museum. It was initially exhibited in the upstairs library, near facsimiles of the Declaration of Independence (signed by Arthur Middleton) and South Carolina’s Ordinance of Secession (signed, among others, by Arthur Middleton’s descendant William). The Middleton Place leadership hoped that Ashley’s Sack’s placement would productively complicate the interpretation of these documents, highlighting the paradoxes embedded in American conceptions of liberty and equality. Later, the object was moved downstairs to the front hall, to a specially constructed case with other items more definitively linked to slavery at Middleton Place, including a slave badge and buttons worn by enslaved workers. 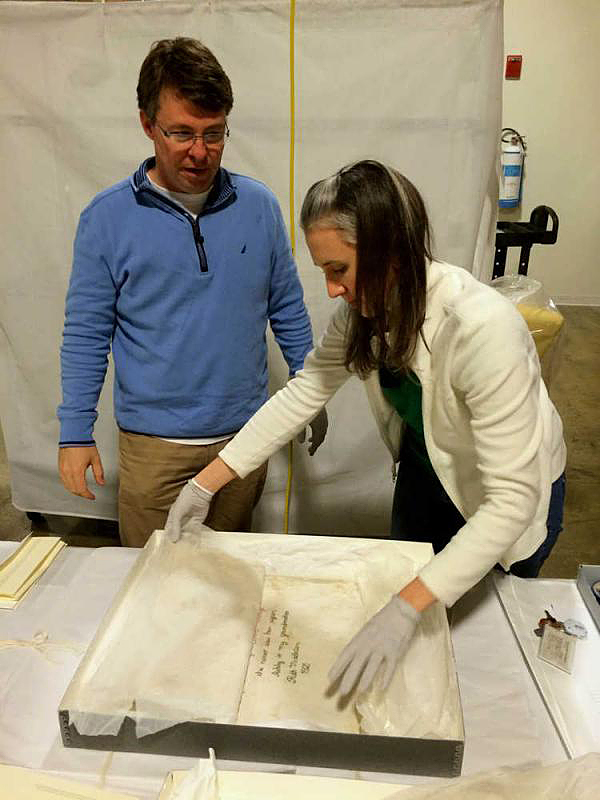 Curators Tracey Todd, Chief Operating Officer of Middleton Place Foundation, and Andrea Jain, of the Smithsonian Institution, examine Ashley’s Sack, 2016. Photograph courtesy of the Middleton Place Foundation. Middleton Place staff recall that Ashley’s Sack posed interpretive challenges for many of the more veteran volunteer guides, who were more familiar with storylines emphasizing the accomplishments and refinement of the white Middletons. Some felt uncomfortable with direct discussions of slavery; others were overwhelmed by the emotional responses catalyzed by the object, which brought tears to many visitors’ eyes. Some volunteer guides complained that the sack, and the powerful reactions it engendered, distracted from the core mission of the tour: to highlight the wealth, political leadership, and cosmopolitanism of the white Middletons. Whatever reservations some volunteers might harbor about Ashley’s Sack, the object is treasured by professional staff at Middleton Place. A large reproduction is included in the Foundation’s commemorative book. Mary Edna Sullivan, Middleton’s curator, brought it in January 2011 to the Winter Antiques Show in New York’s Park Avenue Armory, where it attracted deep interest and emotional responses from hundreds of visitors. From the time they acquired Ashley’s Sack, curatorial and interpretive staff harbored the hope that it would prove to have a historical connection with Middleton Place families, black or white. Noting that the sack was discovered near Nashville, Tennessee, where some white Middletons had settled after the Civil War, they conjectured that the object might have travelled with them. In any event, a Middleton staff member brought Ashley’s Sack to the May 2009 “Save America’s Treasures” event in Charleston hosted by the National Museum of African American History and Culture (NMAAHC), as the Museum searched for significant, previously unknown works of African American material culture. Smithsonian curators were deeply moved by the object; after negotiations, Middleton agreed to lend it to the Smithsonian on a year-to-year basis. 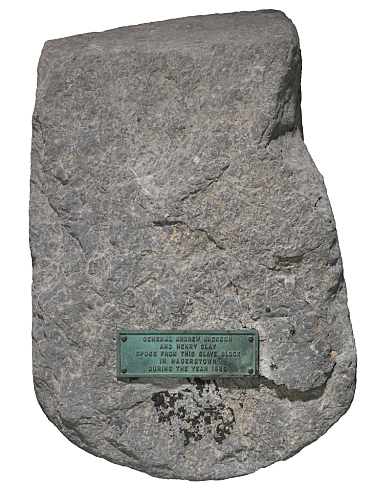 Top, Stone slave auction block from Hagerstown, Maryland. Courtesy of the Smithsonian National Museum of African American History and Culture. Bottom, Ashley’s Sack, Charleston, South Carolina, 2016. Photograph courtesy of the Middleton Place Foundation. At the NMAAHC, which opened in September 2016, Ashley’s Sack is exhibited directly next to a case holding an “auction block” and near a large installation evoking bales of piled cotton, entitled “King Cotton.” These elements, the curators explain, evoke the enormous financial wealth generated by the slavery system. In contrast, Ashley’s Sack evokes the intangible “human cost” of slavery, emphasizing a specific family story of tragedy and endurance across generations. Adjacent text describes the tragedy of family members being torn away from one another. A soundscape loop presents a range of first person commentaries, including WPA oral histories, about slave sales. In its new location, the sack is hung entirely vertically, with the full front surface of the cloth visible, so that the text begins about three feet off the floor. Museum patrons must crouch low to read it. Perhaps, in time, the NMAAHC will develop a more interactive and accessible installation strategy, including an enlarged reproduction of the text, allowing visitors to contemplate Ruth Middleton’s complex, ambiguous narrative and to enter more directly into this complex historical trajectory. As my students and I have contemplated Ashley’s Sack, it seems that the object calls out for a hands-on presentation. Perhaps visitors from around the world might write letters to Rose or Ashley, emulating Ruth’s own commitment to the power of the written word to confront time’s passage. Perhaps such letters could constitute an evolving installation. Alternately, visitors might ponder what they would do if faced with Rose’s predicament. My colleague Jay Ball suggests asking what three gifts might visitors choose for a loved one they would never meet again. As at the adjacent Vietnam Veterans Memorial, one could imagine this exhibition space becoming a pilgrimage destination, where visitors leave objects, photographs, heirlooms, and works of art to achieve a reunion across race and difference, creating a new space of collective homecoming. Heather Andrea Williams, Help Me to Find My People: The African American Search for Family Lost in Slavery (University of North Carolina Press, 2012), 196–197. The sack is described in the epilogue of Williams’s book, and has been discussed from time to time in media reports since the mid-2000s. Robert Martin inventory for Charleston property, listing Rose, 358; Barnwell County property, listing Ashley, 366–367, Inventories, Appraisements and Sales, 1850–1853, Charleston, South Carolina, South Carolina Department of Archives and History. Note that antebellum loose probate records from Charleston District did not survive the Civil War. Charleston Courier (Charleston, SC), Feb. 6, 1854, 4. Copy of Robert Martin’s will, Means Family Papers, Pinckney-Means Papers, South Carolina Historical Society. See also Robert Martin will transcript, South Carolina Department of Archives and History. Milbery S. Martin (Executrix of Robert Martin) v. James B. Campbell, Bill for Account and Relief, filed 9 January 1858, and papers, filed 18 April 1858; Miberry S. Martin v. Edward Petit, 2 July 1859–1861, March 1860, Court of Equity Records, South Carolina Department of Archives and History. 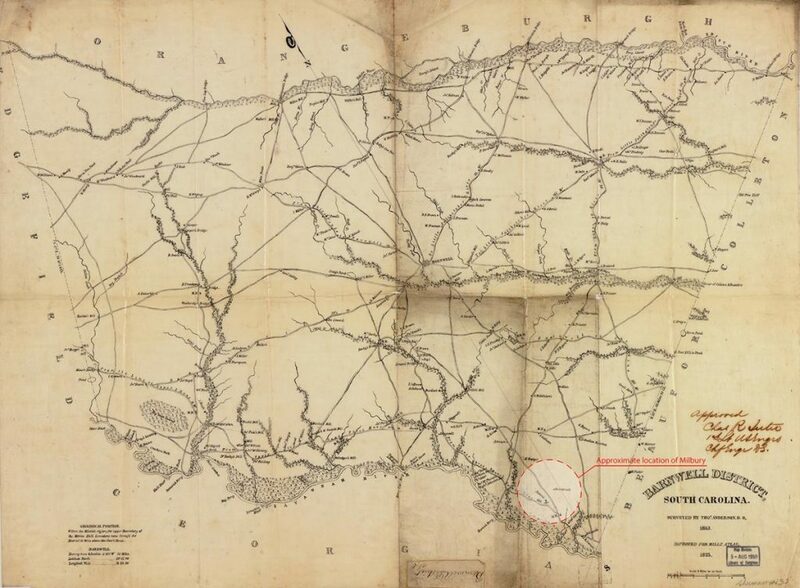 Loose genealogical papers pertaining to Robert Martin Sr. and descendants, Pinckney-Means Family Papers, South Carolina Historical Society. For information on Robert Martin Jr. see also Chalmers. G. Davidson, The Last Foray: South Carolina planters of 1860, A Sociological Study (Columbia: Published for the South Carolina Tricentennial Commission by the University of South Carolina Press, 1971), 288. James Daniel Erwin will, 1852, Barnwell County, South Carolina Department of Archives and History. In September 1854, Robert Martin Jr. married Annie Eliza Erwin, whose father, James Daniel Erwin, had died two years earlier and bequeathed her twenty-three slaves, many of who were held on his Erwinton plantation, adjacent to Milberry Place. Perhaps some of the 125 slaves at Milberry in 1860 had come there from the Erwin bequest. Flander Middleton, the father-in-law of Ruth Jones, was born in Sumter County, South Carolina, around 1863. The 1880 census records him residing in Providence, a town in Sumter County currently known as Dalzell, a few miles northeast of Sumter township, the county seat. Although Flander is not listed in the 1870 census, the census for that year does record a Dolly Middleton (born 1855) residing in the same neighborhood of Providence. Dolly also is listed, under the married name of Dawson, living adjacent to Flander Middleton in the 1880 census. Letters of Administration, Richland County, South Carolina, Probate Court. Record of Admissions, Vol. 6, 114–15; Record of Deaths, 44–5, South Carolina State Mental Hospital. Certificate of Death no. 35328, Rosa Jones; South Carolina Department of History and Archives. Ruth’s father, Austin Jones, died in May 1912. Ruth’s mother Rosa Jones was admitted on 26 June 1916 to the South Carolina State Mental Hospital and died there three days later. of Philadelphia, Commonwealth of Pennsylvania. 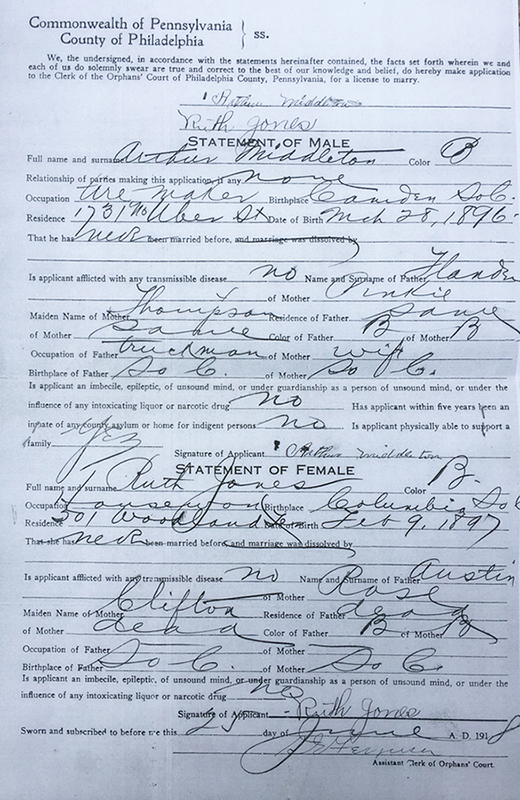 Marriage license application (25 June 1918), Arthur Middleton and Ruth Jones. Army separation application #272507 (22 November 1919), Arthur Middleton. Suggestively, the only black “Dorothy Middleton” appearing anywhere in the 1930 US census is an eleven-year-old girl residing in the home of George and Maggie Lynch in Mount Hope, Fayette County, West Virginia, listed as their “niece.” I do not know if this African American couple, the “Lynches,” had any connection to the white Linch family who employed Ruth in 1918, in Philadelphia. References to Mrs. Ruth Jones Middleton in the “Woman’s Page,” “Society at a Glance,” “Smart Set,” “Younger Set,” and other columns of the Philadelphia Tribune (Philadelphia, PA), Dec. 8, 1928, 6; July 24, 1929, 4; Aug.13, 1931, 4; Feb. 18, 1932, 5; Sept. 8, 1932, 5; Dec. 21, 1933, 6; Feb. 3, 1938, 6; Feb. 17, 1938, 6; March 3, 1938, 5; April 7, 1938, 6; Dec. 13, 1939, 9; Jan. 4, 1940, 8; Jan. 18, 1940, 8; Feb. 18, 1940, 9; March 17, 1940, 18. There are no known newspaper obituaries after her death in 1942. County of Philadelphia, Commonwealth of Pennsylvania. Certificate of Death No. 9389, Ruth Middleton. In 1942, Dorothy Helen Middleton purchased two burial plots—one for her mother and one for herself—at Mount Lawn in Sharon Hill, Pennsylvania. Mount Lawn cemetery records indicate that she never used the second plot; it is not known where she was buried after her death in 1988. “Slave child torn from mom filled sack with love” Spartanburg Herald-Journal (Spartanburg, SC) April 16, 2007, C1, C3. Charles Duell, Middleton Place: A Phoenix Still Rising. 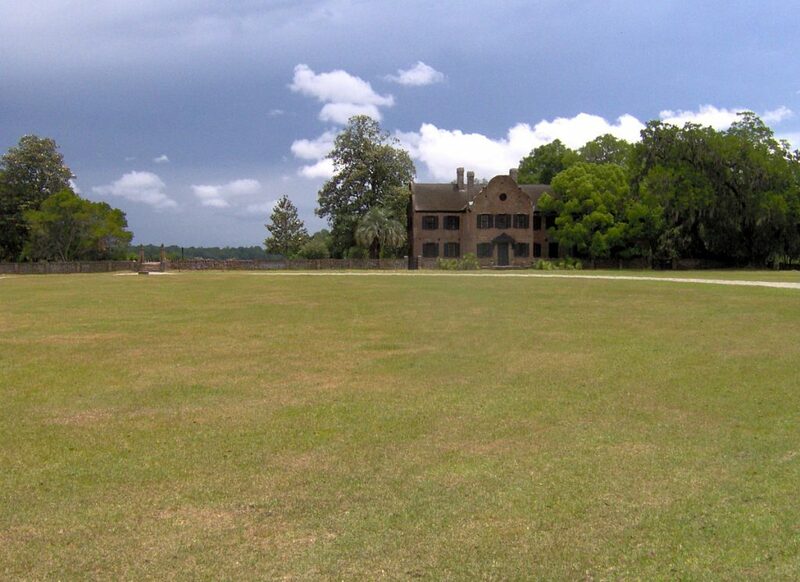 Middleton Place Foundation. (Charleston: Middleton Place Foundation, 2013), 57. Although Ruth had no apparent lineal connection to the Middleton slaves, there is some circumstantial evidence that her father-in-law, Flander Middleton, born around 1863 during the Civil War in Sumter County, South Carolina, may have been descended from persons enslaved by the Middletons of Middleton Place. A possible link is through the Middleton heir, Eliza Carolina Middleton Huger (1824–1919), daughter of Isabella Joanne Middleton, born in 1780 at Middleton Place, the daughter of Arthur Middleton, a signer of the Declaration of Independence. Eliza Smith’s son, William Mason Smith, records in an 1863 letter that he transferred his slave “Philander” and Philander’s family (including a newborn child) to their Sumter County plantation, following Harriet Tubman’s Combahee Raid. It is possible that the Middleton name was being maintained by the enslaved family of Philander, and a child named Philander was later known as “Flander.” (I am indebted to Dottie Stone, Middleton Place historian, for this suggested connection between Flander Middleton and the Middletons of Middleton Place.) It is certainly intriguing in this light that Ruth’s husband was named “Arthur Middleton,” the same name as the illustrious Middleton Place patriarch. Originally published by Southern Spaces, 11.29.2016, republished with permission in accordance with the Budapest Open Access Initiative. This entry was posted in Uncategorized and tagged Ashley's Sack, History, Slavery. Bookmark the permalink.